All iPad® mobile digital device images included are shown. 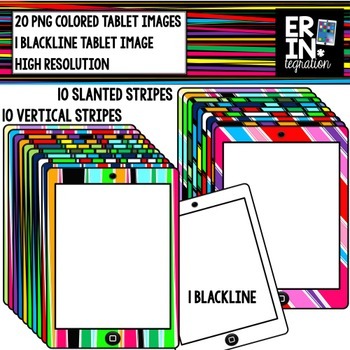 20 full colored high resolution iPad or tablet clips - vertical and diagonal multicolored stripes and 1 blackline. Images are each saved as a separate 10x6 inch .png file. Download Preview for TOU. For personal or commercial use. 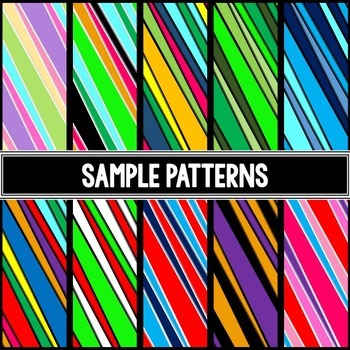 A link back to my store is required for commercial use.